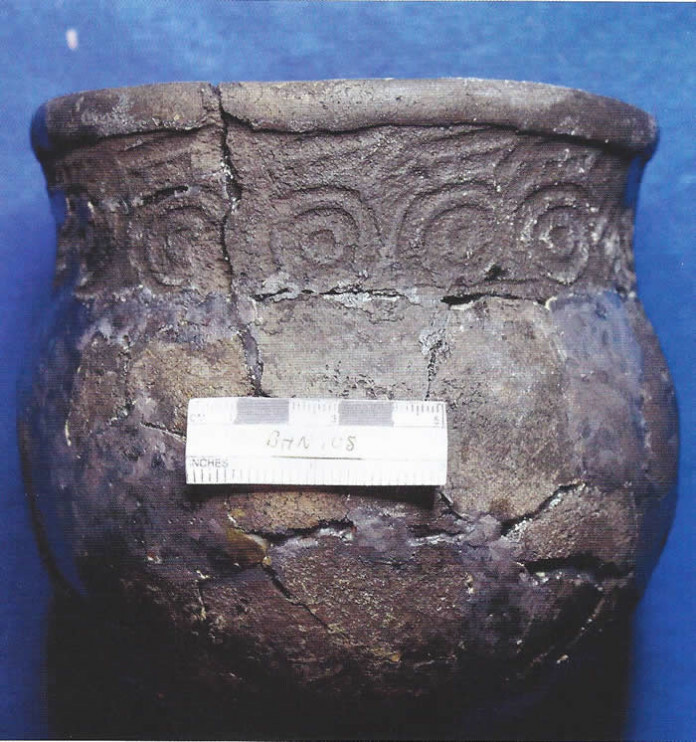 A reconstructed pot recovered from a Swift Creek burial mound. The Conservancy recently acquired the first of three tracts of an important site near the city of Tallahassee, in northwest Florida. The Bird Hammock site is a multi-component site consisting of two burial mounds and two circular or ring-shaped middens consisting primarily of plant and animal food refuse. The site’s primary occupations were the peoples of the Swift Creek and Weeden Island cultures. These cultures inhabited parts of Florida, Alabama, and Georgia, and they are known for their elaborate ceremonial complexes, mound burials, permanent settlements, extensive trade networks, and sociopolitical complexity.